Trans fat intake has been linked to an increased risk of coronary heart disease by contributing to the buildup of plaque inside the arteries that may cause a heart attack. For this reason, the FDA has required that the trans fat content of food be declared on the Nutrition Facts label to help consumers determine how each food contributes to their overall dietary intake of trans fat. Many processed foods contain partially hydrogenated oils (PHOs), the major dietary source of industrially-produced trans fat in processed food. Now, the FDA is taking a step to remove artificial trans fat from the food supply. This step is expected to reduce coronary heart disease and prevent thousands of fatal heart attacks every year. In 2013, FDA made a preliminary determination that PHOs were no longer “generally recognized as safe,” or GRAS, for short. FDA is finalizing that action and determining that PHOs are not GRAS for any use in human food. “We made this determination based on the available scientific evidence and the findings of expert panels,” says Susan Mayne, Ph.D., Director of FDA’s Center for Food Safety and Applied Nutrition. “Studies show that diet and nutrition play a key role in preventing chronic health problems, such as cardiovascular disease and today’s action goes hand in hand with other FDA initiatives to improve the health of Americans, including updating the Nutrition Facts label,” she adds. Trans fat wouldn’t be completely gone, Mayne notes, because it also occurs naturally in meat and dairy products. It is also present at very low levels in other edible oils, where it is unavoidably produced during the manufacturing process. In addition, companies can petition FDA for specific uses of certain partially hydrogenated oils. PHOs, the primary source of industrially produced trans fat, are found in many popular processed foods, like baked goods and frozen foods that Americans use to feed their families. PHOs have been widely used as ingredients since the 1950s to increase the shelf-life and flavor stability of processed foods. But over time, various studies have consistently linked trans fat consumption to heart disease. A 2002 report by the National Academy of Science’s Institute of Medicine found a direct correlation between intake of trans fat and increased levels of low density lipoprotein (LDL) cholesterol, commonly referred to as “bad” cholesterol, and, therefore, increased risk of heart disease. Mayne says that the FDA began requiring that trans fat be listed on the Nutrition Facts label in January 2006. 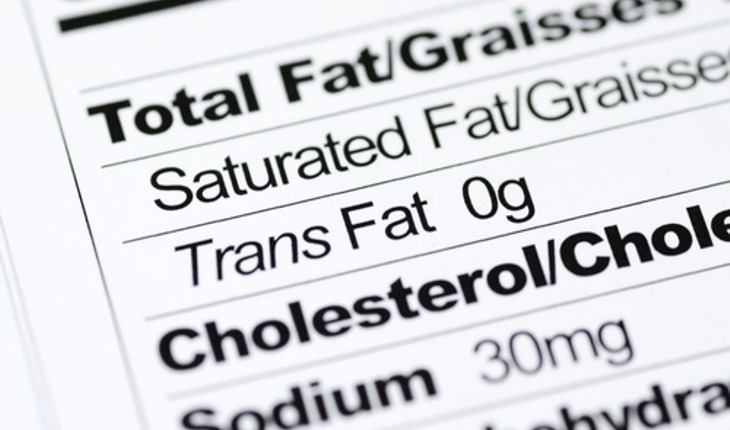 Many companies responded by voluntarily changing their food formulations to reduce or eliminate trans fat by not using partially hydrogenated oils, and consumers were taking the health warnings to heart in their food choices. Now that partially hydrogenated oil is no longer generally recognized as safe, FDA is providing a three-year compliance period. This will allow industry to gradually phase out the remaining uses over a three-year period, or seek food additive approval for those uses. What Should the Consumer Do? In the meantime, what should the average consumer do if he or she picks up a favorite food and sees that it has trans fat on the Nutrition Facts label? The best thing to do is to consider the amounts of saturated fat and trans fat. Choose the product that has the lowest amounts of these nutrients, Mayne says. Reprinted with permission from the FDA Consumer Updates section. For more updates, click here.